South Pasadena City Council members will conduct a public hearing Wednesday night regarding the establishment of a permit fee for sidewalk vending. The council meeting, open to the public, begins at 7:30 p.m. at City Hall, 1414 Mission Street. Senate Bill (SB) No. 946, effective January 1, 2019, establishes a new framework for regulating sidewalk vending on public property. The City Council approved an urgency ordinance at its December 5 meeting, creating a permitting process to impose its own regulations, not in conflict with state law, to promote the health, safety, and welfare of its residents. The public hearing has been set to establish a new fee for sidewalk vending permits. The proposed permit fee will cover the administrative costs associated with the processing, issuance, and enforcement of an encroachment permit on public right of way. The $138 fee is consistent with the encroachment fee currently charged for mobile food vending permits. The City will required as part of the application process a valid City Business License, a valid Mobile Food permit issued by Los Angeles County Department of Public Health and a valid California Department of Tax and Fee Administration seller’s permit. The permit will be administered by the Public Works Department. In September 2018, Governor Brown signed Senate Bill No. 946 to decriminalize sidewalk vending, prohibit local bans, and provide a guideline regarding permissible regulations. The bill prohibits cities from criminalizing sidewalk vending and allows cities to adopt reasonable regulations, within defined limits, on sidewalk vending. The council will be asked to approval an employment agreement with City Manager Stephanie DeWolfe to increase her annual compensation by 2.5%. The proposed amendment would raise her compensation from $195,000 to $199,875 annually. In addition, in recognition of the increased costs of medical insurance, the proposed amendment includes an additional $175 per month in taxable compensation reimbursement to offset the amount of out·of·pocket costs borne by DeWolfe for her group medical insurance premiums. The additional $175 per month nets approximately $125-$129, after employment taxes, to reimburse DeWolfe for the rising cost of medical insurance premiums and maintain the status quo of her contracted benefits. The state of California is currently facing a housing crisis with a particular impact being felt in Southern California and the Bay Area. The City of South Pasadena is not immune to this housing crisis with housing affordability for both rental and for-sale housing units currently out of reach for many Californians. The state has, and continues to propose legislation which would take away local control over housing development in an effort to mandate cities to build more. 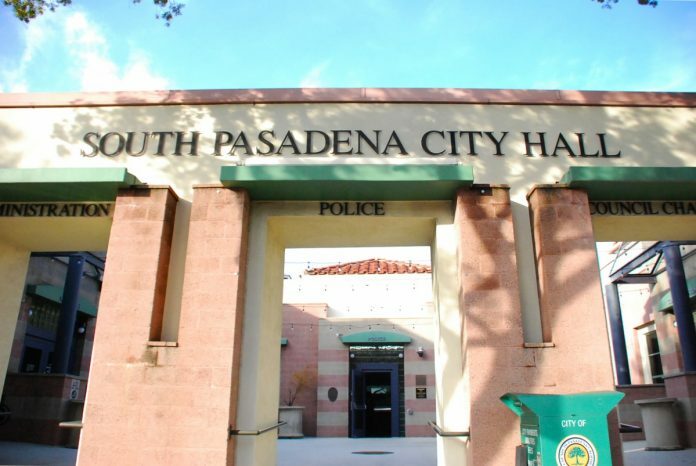 The City of South Pasadena would benefit from finding solutions to the shortage of housing before the state imposes regulations, and the City is threatened with losing local control. City Staff has concluded that ADU’s and Inclusionary Housing Ordinances are some creative ways that the City can begin efforts toward meeting housing mandates, which would accommodate the pressures from the state, while maintaining the integrity of the City’s infrastructure. To address the housing crisis, the State is considering additional legislation aimed at facilitating housing developments and overriding local land lise controls that are seen by the state as being an obstacle to new affordable housing units. The State is expected to expand upon its mandates in the foreseeable future. Governor Newsom recently stated that cities not meeting their housing goals will be subject to loss of State transportation funds. It is important to note, that while cities do not directly develop housing, the State is increasingly holding cities responsible for housing production. It is recommended that the City Council receive and file a summary report discussing preliminary ideals and proposals regarding an update to the city’s housing policy initiatives. City staff is recommending that the City Council authorize the City Manager to execute an amended agreement with PayTech to assist with the implementation of additional payroll administration software and hardware for an additional $40,500 for a new total not-to-exceed contract amount of $60,000. On November 7, 2018, the City Council approved the reorganization of the Finance Department and authorized the city manager to execute an agreement with ADP, LLC (ADP) for the implementation and administration of payroll services. At the time, ADP recommended PayTech, a premier payroll and I-IRIS consultant, to assist the city with the implementation of the new payroll administration platform and a one-time implementation cost of $ 19,500 was included. It is recommended that the City authorize the City Manager to execute a Professional Services Agreement with Right of Way, Inc. not to exceed $72,805 for the 626 Golden Streets Mission to Mission Ciclovia event to be held on May 19. Right of Way, Inc. will provide staff to help implement the traffic control management plan for the event. The Mission to Mission will include five miles of open streets through the cities of South Pasadena, Alhambra, and San Gabriel to provide participants with the opportunity to walk, bike, scoot, dance, and play. The route will begin at the South Pasadena Gold Line, travel east on Mission Street to Marengo Avenue, south on Marengo Avenue to Alhambra Road and east on Alhambra Road. The route will then continue through the business district in Alhambra and end at the San Gabriel Mission in San Gabriel. The continuous route through three jurisdictions requires significant coordination among the participating cities to preserve traffic flow and maintain safety. City staff recommends the City Council to authorize the purchase the Sodium Hypochlorite from Matt Chlor, Inc., and issue the purchase order not-to-exceed $34,000 for the break point chlorination system. Due to the new regulations for the use of 1,2,3, -Trichloropropane (1,2,3-TCP) enacted by the state of California a in January of 2018, the City of South had to stop utilizing the ground water supply source at the Wilson Reservoir last March and switch to the use of the water purchased from the Metropolitan Water District (MWD). Since the city operates a water utility under a permit from the State Water Resources Control Board Division of Drinking Water it is required to comply with all Federal and State water quality requirements. Beginning in March of 2018, the city changed from using ground water to using the surface water supplied by MWD. As soon as the water supply source was switched, city staff received water discoloration complaints from various residents. In order to eliminate the water discoloration, staff hired a water supply engineer to conduct a study of the problem. As such, the recommendation to utilize the breakpoint chlorination system was made to address the discolored water issue until a permanent solution could be implemented. The breakpoint chlorination system was installed in July of 2018, as a temporary solution until the 123 TCP wellhead treatment facilities at the Wilson reservoir were completed. The South Pasadena Police Department provides public safety towing services for the community to remove damaged, disabled, abandoned, or illegally parked vehicles from city streets, City staff has began exploring non-exclusive franchise agreements with towing companies to include a franchise fee which would offset administrative costs incurred by the city. City staff is recommending introducing an ordinance to the South Pasadena Municipal Code (SPMC) regarding procedures and requirements for a Police Department Tow Service Franchise Fee Agreement. A separate Resolution setting the franchise fee must be brought back for Council consideration, consistent with council direction on the amount of the franchise fee to be imposed, and the methodology of the fee imposition. South Pasadena City reports contributed to this story.